According to the NCTAF, teacher attrition has increased by 50% in the last fifteen years. More than 30% of new teachers now leave the profession within the first five years (American Educational Research Journal, 2012). 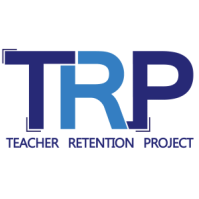 Teacher turnover is especially high at high poverty, lower performing schools, where students are almost twice as likely to be taught by a novice teacher. The cost of teacher attrition is substantial. All4Ed estimates that school districts across the country are spending more than $4.9 billion annually to replace exiting teachers. Per teacher, this cost could be anything between $8,000 and $48,000 (Benson, 2000). This places a significant burden on limited school budgets, especially at low-income schools with higher rates of turnover. Many schools find themselves “trapped in a chronic cycle of teacher hiring and replacement,” which, “drain[s] their districts of precious dollars that could be better spent to improve teaching quality and student achievement” (NCTAF, 1). In an effort to save money, at-risk schools often hire novice teachers for lower pay. However, by investing in quality teachers and retention strategies instead, schools could reduce the costs associated with teacher attrition, and, ultimately, save money (NCTAF, 2). Perhaps the most concerning effect of teacher turnover is on student achievement. In a study published by the American Educational Research Journal, researchers compared test scores in reading and math for students within the same grade and school over different years (2012). With 100% teacher turnover, students scored 8.2% to 10.2% of a standard deviation lower in math, compared to no teacher turnover. In reading, scores were 4.9% to 6.0% of a standard deviation lower with 100% teacher turnover. Again, the neediest students are the most significantly affected, as teacher attrition is substantially higher in high poverty schools. In their pilot study, Schaefer, Barnes, and Crowe note the correlation between low performance, high poverty, and high teacher turnover (2007). They suggest that retention initiatives in high-needs schools would “…yield the most return on investment, both in terms of resources and school performance” (NCTAF, 2). Students who attend high poverty, low performing schools have the greatest need for high quality, expert teachers to increase academic performance. Teacher retention in these schools will be one of the determining factors in closing the achievement gap.